These customized 3x4 inch round corner dog care magnets – 20 MIL are ideal, if you wish to make your messages stick. It is well suited for everyone who is into pet care or animal businesses. They can get it done with their logo, slogan and contact details or special information etc. 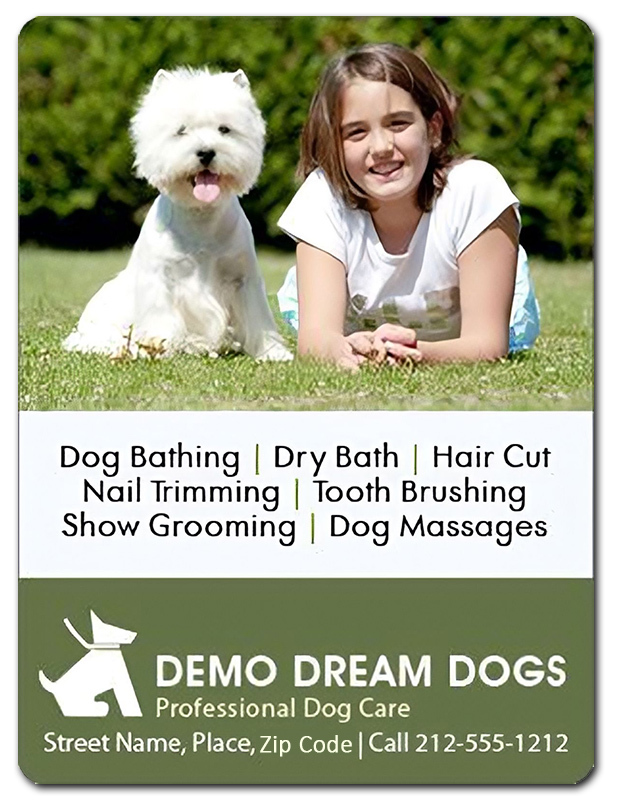 It makes a perfect gifting choice on regular business day or pet shows or any other pet relevant event. Attractive price benefits and value added advantages such as free art set up, free online design proof and free shipping can be availed on this order. 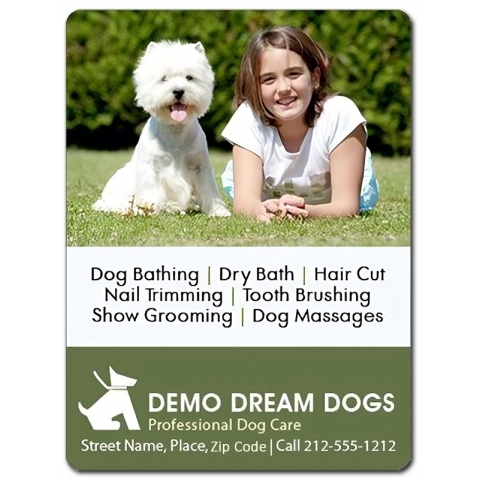 Request a quote to know wholesale price savings for these promotional 3x4 inch round corner dog care magnets – 20 MIL.